HOLLY SHEPHERD REIGNS AS DERBY QUEEN WEEK V OF THE GULF COAST WINTER CLASSICS! 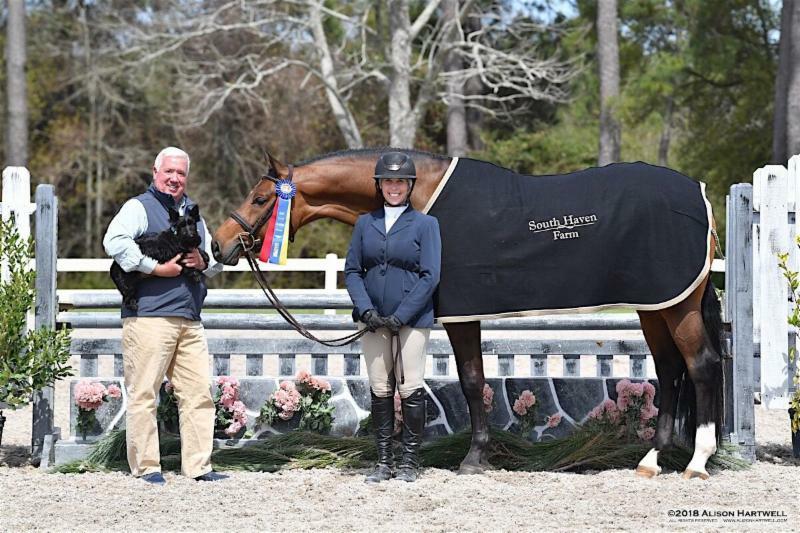 Holly Shepherd of Grand Bay Alabama was unstoppable today at the Gulf Coast Winter Classics! 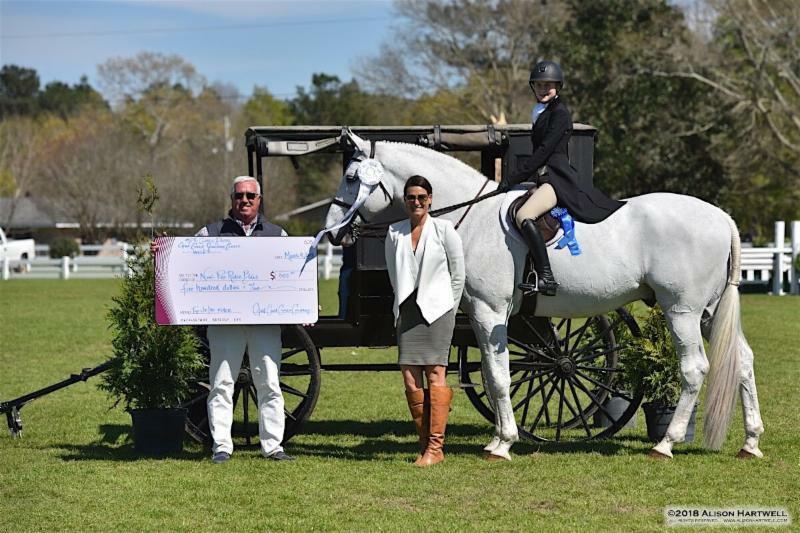 She started her winning streak in the irons of Nina Moore's Kodachrome and galloped into the winner's circle to collect the check and win in the $15,000 USHJA International Hunter Derby after posting the highest overall score of 394, besting a field of 22 horse and rider teams. The course was designed on the world class grass grand prix field by designers Nancy Wallis and Paul Jewel of Lambertville, New Jersey. "I think the most challenging part of the classic round was starting with a long first jump," commented Shepherd. "It's hard to find a distance when the jumps get really long," she said. 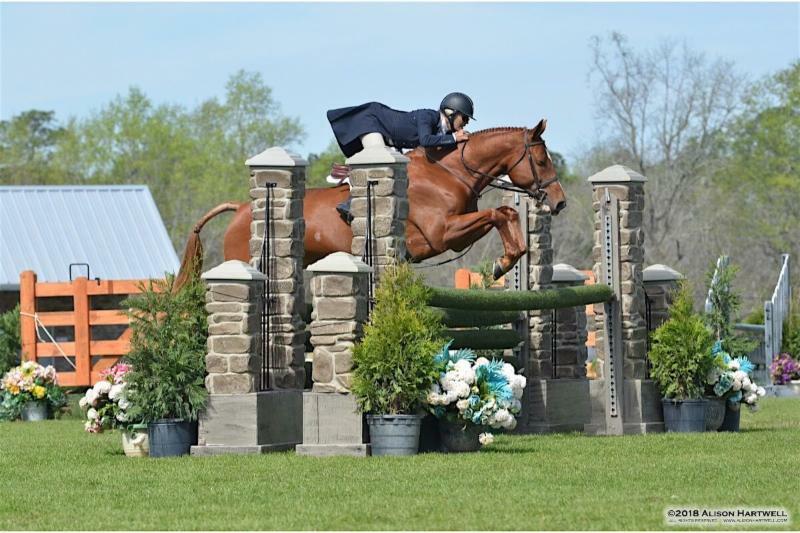 "So I took a deep breathe until I got past the first jump and then the course rode really nice. There were options everywhere. There was a hay bale out there and you needed to be prepared on the front and backside of it, because the horses were looking at it and you had options after that;it definitely changed up some of the other's rides," said Shepherd. Shepherd and Kodachrome finished their classic round with a score of 180 and their score of 214 in the Handy round propelled them to the win. "He [Kodachrome] went beautifully and it was probably the best trip I ever had in the handy. He jumped incredible. He's a very special horse." Holly cinched the win with her tight turn after the jump off "The turn was really hard and the judges were rooting me on, 'do it do it do it!' as I was going by. I took the sharp turn after the trot jump and quite honestly, he's the best trot jumper ever," she laughed. "I had debated doing that with my other rides, but Kodachrome has got that sort of experience and handled it like a grown up. He was awesome. He is just a fantastic horse to ride and his owner is lovely," she added. Helen Gilbert's White Lightning, ridden by Sarah Young of Spring Hill, Kansas sat in third position after their classic round score of 170, but their handy score of 191 moved them into second place with an overall 361. Cassico, owned by Rebekah Warren and ridden by Julie Curtin of Woodstock, Georgia, earned a classic score of 154, but their second round score of 198 which included four option points and 8 handy bonus points, moved them into third place with an overall score of 352. Marietta, Georgia's Micheal Leon rode Kelly Sims' True Story to an overall score of 349, locking in the fourth place ribbon and Holly Shepherd rode Belle Rolfe's Cesar De Lison Z to an overall fifth place finish with a score of 346.5. 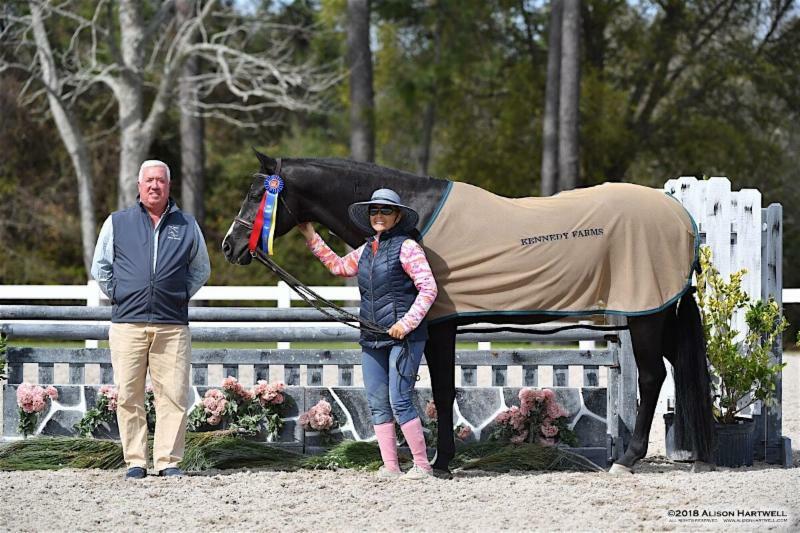 Shepherd returned for the sixth place ribbon, this time in the irons of Debbie Holland's Flamboyant for their overall score of 340 and a seventh place ribbon with Barbara Risius' Longstreet for their overall score of 339.5. Fig Street's Duchess, owned by Cynthia Hallman and ridden by Michael Allen of Birmingham, Alabama earned an eighth place ribbon for their overall score of 326 and Hunter Shedd's NTEC Labros, ridden by Amanda Comly of Sachse, Texas earned a ninth place ribbon for their overall score of 325.5. Comly also collected the tenth place ribbon with Evie Mokarow's Asbury Park for their overall effort of 314. Michael Leon of Marietta, Georgia and his own Celano earned an eleventh place ribbon and Christina Fisher of Alpharetta, Georgia and her own Levland wrapped up the class with a twelfth place ribbon. "When I was in Chicago for the derby, Nina Moore, who owns the property, asked me to ride her horse. I had one spot left and told her I would. After I said I would, she told me it was Kodachrome. I said, 'definitely, yes!'" Kodachrome has been really good and won some derbies and I hope I get to keep him for a while. He's a complete sweetheart and acts like a dog. He likes it when you hold his head and he likes his cookies. He's one of the easiest horses to love-he's definitely a pet and doesn't really act like a show horse. He's always had someone to love him and he has quite a lot of that," she said. "I think Kodachrome is the nicest derby horse in the country and I'm sure Mr. Russell Frye would be happy and looking down smiling at us right now," she added. 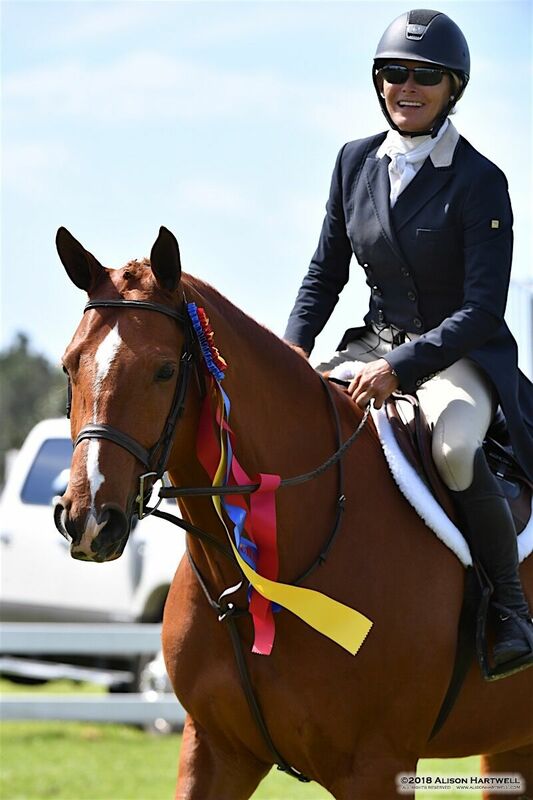 Holly Shepherd went from the winner's circle in the International Derby directly to the winner's circle in the KCR Hunter Derby with Mary Antonini's MTM Making Waves, besting a field of thirty three horse and rider teams. She also went on to take fifth and seventh place ribbons with Belle Rolfe's Boure and Cathy Dattel's Lucie, respectively. Michael Leon took second place honors with Kelly Sims' Eleventh Hour and Julie Curtin rode Holly Labry, LLC's Riverside to a third place ribbon. Holly Shepherd is on a roll! Hunters' Belucci, ridden by Lori Mathews of Dallas, Texas, placed tenth and went on to earn the $300 KCR Child Adult Rider Bonus and Francesca Senior of Jackson, Mississippi, rode Castlemaine, LLC's Chacco B to an eleventh place ribbon.. Elizabeth Woods of Lincoln, Nebraska, wrapped up the class with a twelfth place finish in the irons of her own Peroni and also picked up the $200 KCR Child Adult Rider Bonus. Missy Yoder earned the $200 KCR Jr/Amateur Rider Bonus for her ride aboard her own Too Much Fun. 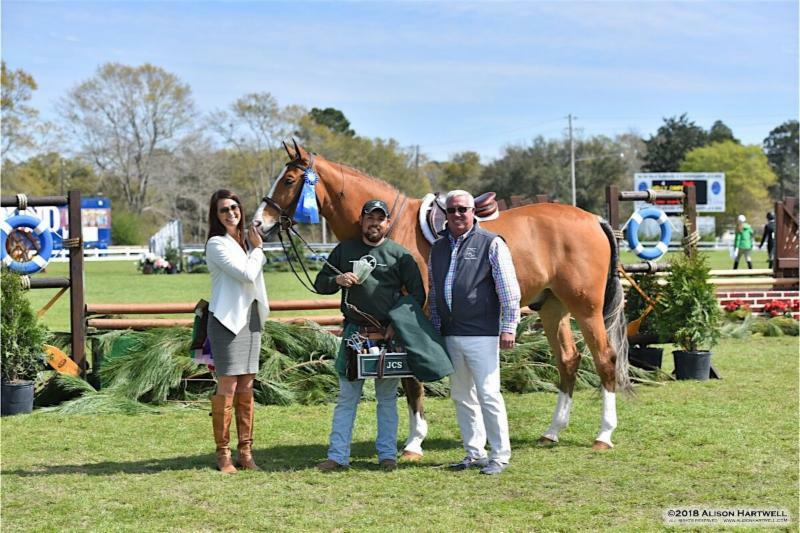 The Sidelines 3' Green Hunter wrapped up Week V of the Gulf Coast Winter Classic with Courtney Lenkart capturing the championship title aboard Lightful. The duo bested nine other entries to win the division, which costs a cool $5 to enter. The pair achieved an overall score of 36 points. Lenkart, of Bartonville, Texas, and six-year-old Lightful, owned by La Primera Hacienda LP, are no strangers to the winner's circle - they also claimed the championship in this division Week IV. "We are so excited about this horse," said Lenkart, adding this was Lightful's fourth weekend coming home with a champion's tricolors. "He's consistent," she continued. "And consistency means a lot in a young horse. It speaks to what a special horse Lightful is. He has a bright future ahead of him." Lenkart said the $5 Sidelines Green Hunter division is a valuable investment for riders, trainers, horses and owners. "It's a rare opportunity, making it such a special program," Lenkart remarked. "Not only is it a great way to develop young horses without it costing a fortune, but it's a way of giving back to the industry. I wish more horse shows did it." Lenkart was quick to show appreciation of her South Haven Farm team, and especially of Lightful's owner, Angela Dominguez. 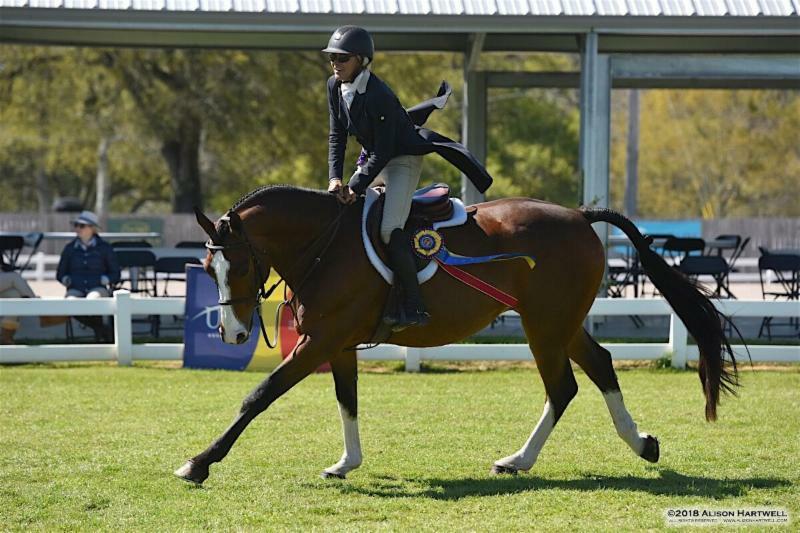 "I'm so lucky to have an owner who allows us to develop a horse the right way," she expressed. "Angela always does all the right things. These $5 classes are a special opportunity to give back and acknowledge those who support us and these horse shows." The reserve championship was awarded to Grand Bay, Alabama's Holly Shepherd, riding Micaela Kennedy's and Sabina Holtzman's Ravello. The pair rode to an overall score of 22.50. Shepherd took home the championship for the Sidelines 3'3" Green Hunter for her performance with Belle Rolfe's Boure. The pair topped the list of 10 entries with their 44-point ride. Jason Berry, of Verona, Virginia, was reserve champion with Oak Ledge Farm's Cassino Royal with their total score of 15 points. 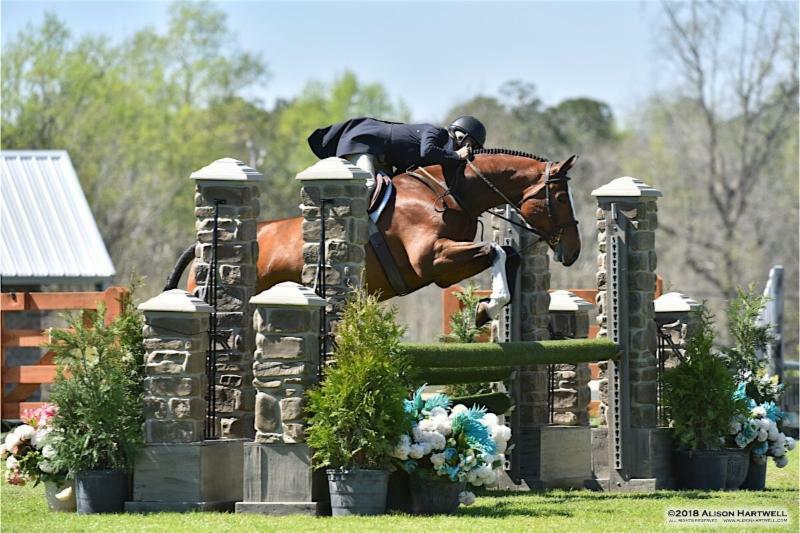 The winners of these divisions are climbing their way up the qualifying charts for the $30,000 Green Hunter Classic, slated for the Atlanta Fall Classics at the venue of the 1996 Summer Olympic Games. There's still time to qualify for this finals event for only $5 a division over the remaining week of the Gulf Coast Winter Classic. 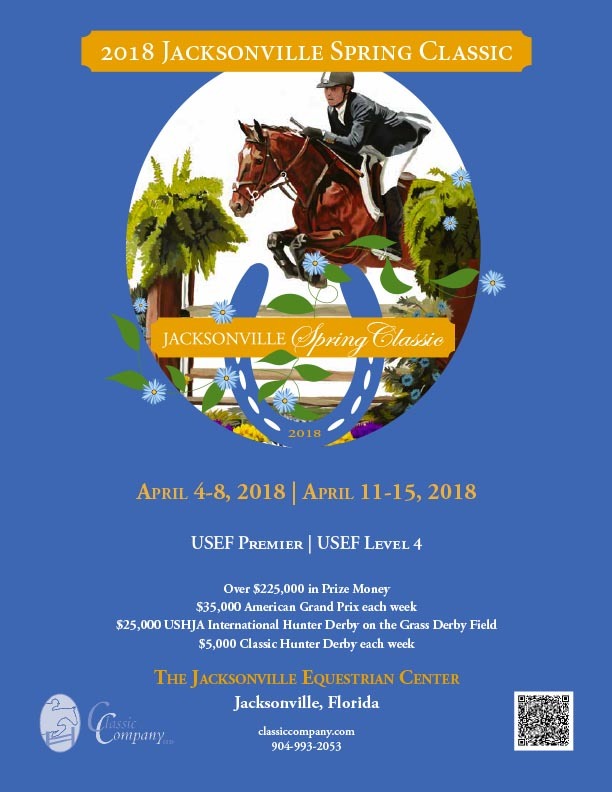 More coveted qualifying points can be earned during the forthcoming Atlanta Spring Classic, Jacksonville Spring Classic, as well as the Charleston Summer Classic. 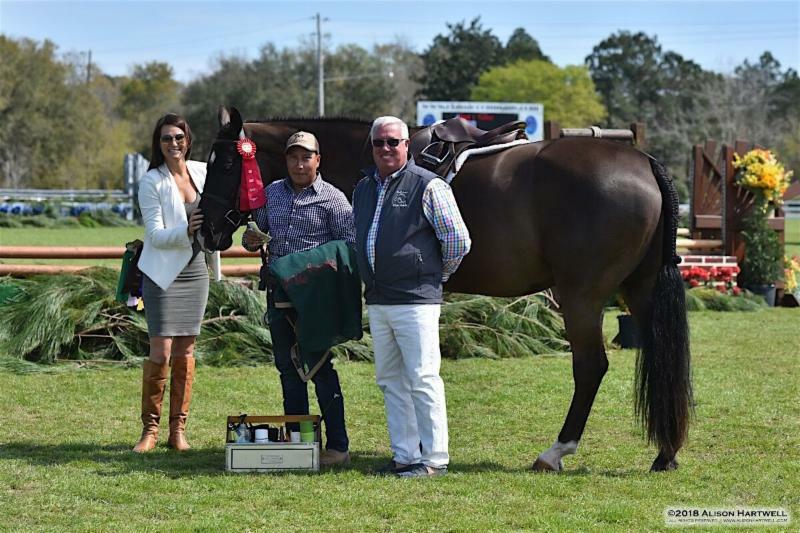 The Hunter Groom's Class, sponsored by Tustin Farm awarded Tito Aguiliar of New Vintage Farm the first place honors, $400 check and a jacket. Aguiliar worked for Julie Curtin for over ten years and loves taking care of the horses and seeing them do well. Carlos Martinez of Spring Mill Farm earned second place and a check for $300. Martinez previously won the Zone 4 Best Turned Out and Grooms Award at Harrisburg. Saulo Tenorio of Patchwork Farm earned third place honors and a check for $200. Tenorio worked for six years for Patchwork Farm and is charged with the responsibility for all aspects of the horses' care, including shipping campers, horses and moving jumps. 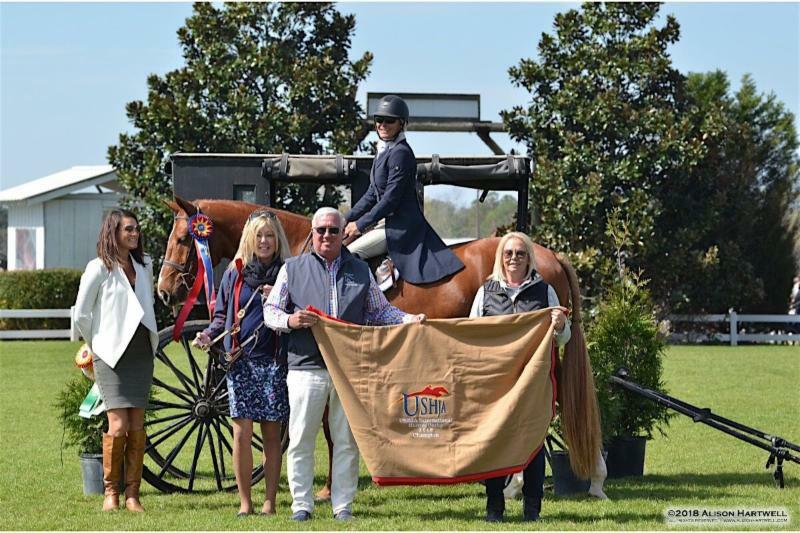 The Gulf Coast Classic and Classic Company is pleased to announce that Kruse Cushion Ride (KCR) has returned as the Official Footing for the Gulf Coast and Classic Company horse shows and title sponsor of the inaugural Kruse Cushion Ride Classic Hunter Derby. Kruse Cushion Ride can be applied to new arenas as well as pre-existing rings. It works great on moisture and has a uniform color. It is graded at the facility and can be sorted by fiber type as well as color to guarantee its consistency. The material is used equally in outdoor and indoor arena applications. The difference is the cost effective nature of the product. The environmentally friendly composition of post-consumer material is integral. 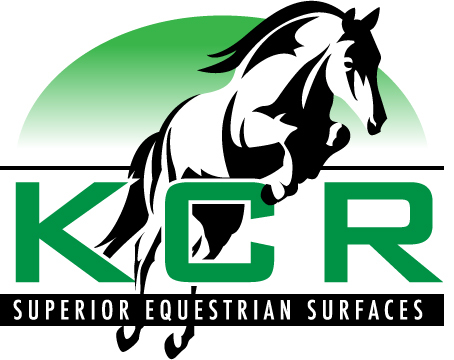 KCR footing is the perfect way to allow farm owners and families to enjoy the perfect riding surface without materials that break down which can become hazardous. Each arena has different needs and requires a specific amount of material to ensure the best performance. Proper installation is key to the success of their product and those riding on it. KCR is able to evaluate each ring on an individual basis and make recommendations from there. Visit Krusecushionride.com or talk to Allen Rheinheimer at the shows for more information. 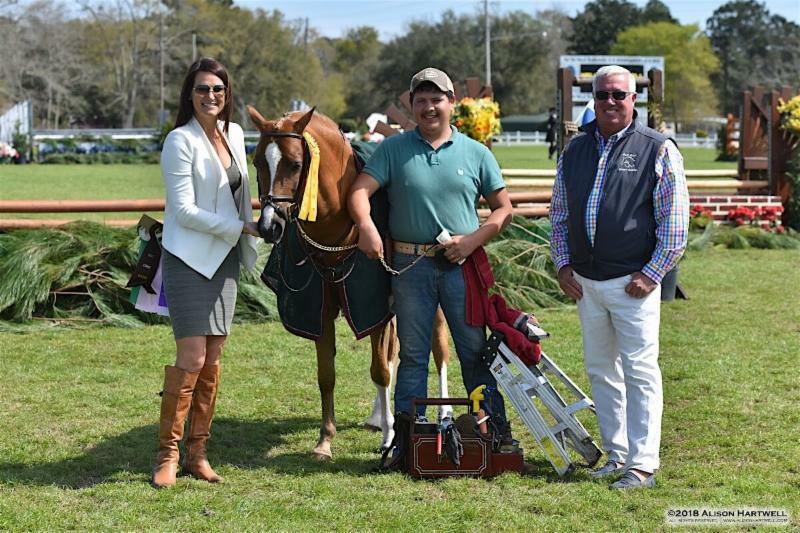 Sidelines Magazine is the Official Equestrian Lifestyle Magazine of the Classic and Gulf Coast Classic Company and title sponsor of the 3' and 3'3" Green Hunter Division at all Classic Company shows. Sidelines features insightful interviews from some of the top equestrians in the world and highlights all the show jumping action in the country. Make sure to pick up a free copy in the show office or visit them on line at www.sidelinesnews.com. 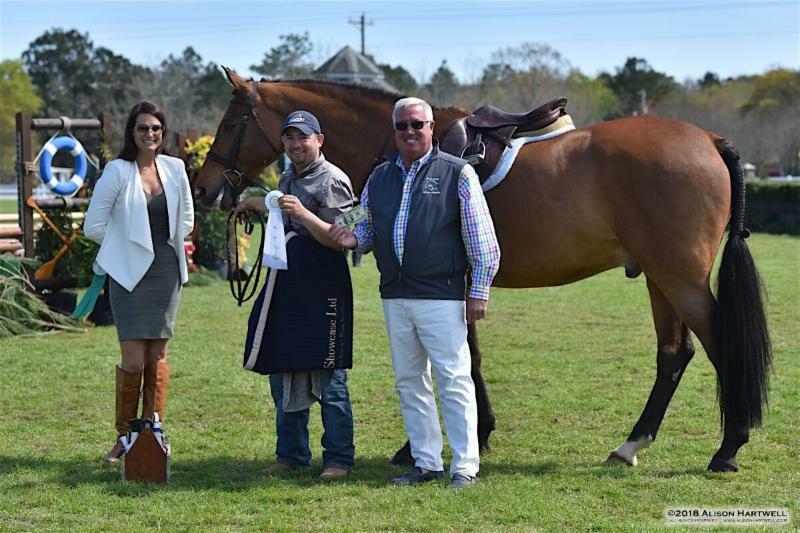 The AA six week circuit kicks off in Gulfport, Mississippi on February 7 and has plenty to offer for your entire barn. The $5 3' and 3'3" Green Hunter Divisions are back and that's right...only $5 for the entire division! What a great way to earn mileage for your up and coming hunters and riders! The offering has been extended to the Young Hunter Division too! Only $5 for the Young Hunter Division. All 3' and 3'3" Green Hunter Divisions will be qualifiers for the $30,000 Green Hunter Classic slated for the Atlanta Fall Classic. Top qualifiers do not pay an entry fee to compete! Start earning your points now! The prize list is online so enter and pay for your stalls now and enjoy the savings all winter long! Come discover why the grass is greener on the Mississippi Gulf Coast. The Gulf Coast Winter Classic is the smart choice and the preferred destination show location for winter circuits. Join us in the winner's circle this winter! Luxury is what it's all about! Beau Rivage is a 32 story, 1740 room AAA Four Diamond resort. 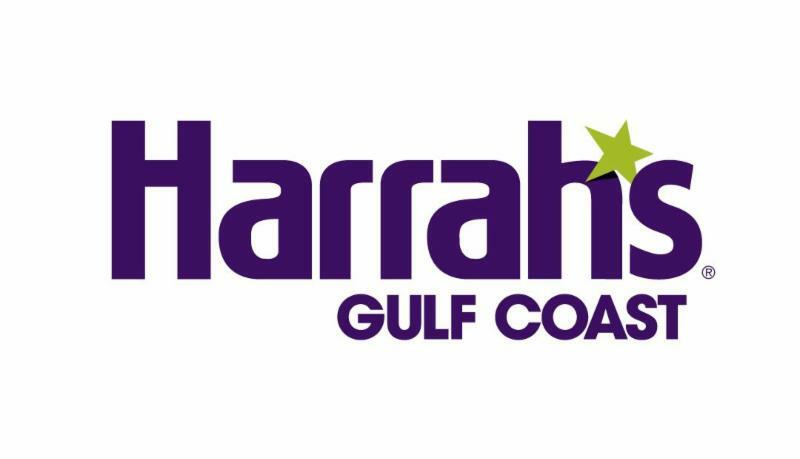 With two gourmet restaurants, BR Prime and Jia, new Casino lounge, Tom Fazio designed Fallen Oak golf course, 85,000 square foot casino, spa, salon and lots of shopping, this is the ultimate destination on the Gulf Coast. Visit the website for a complete tour of the resort. 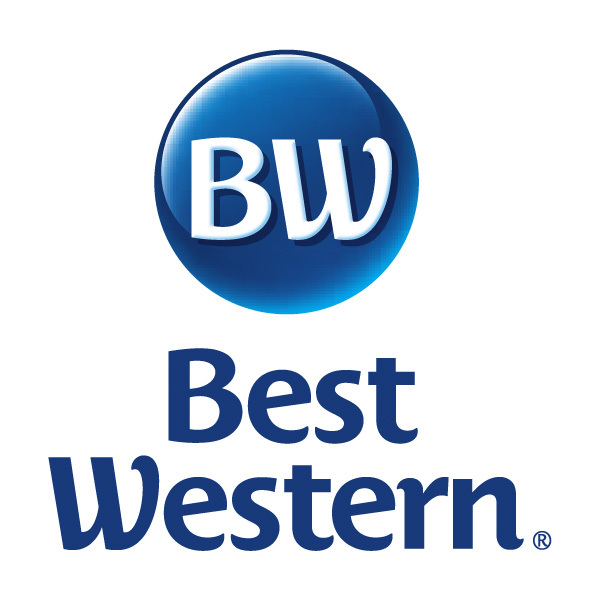 The Best Western Plus Seaway Inn is offering a special Gulf Coast Winter Classic Horse Show Rate of $59 per night. Just off Highway 49, this airy hotel is a short distance from the Equestrian Center. Featuring free WiFi and flat-screen TVs with cable channels, the contemporary rooms offer desks, coffeemakers, minifridges and microwaves. Suites have in-room whirpool tubs and/or sitting areas. Exterior corridors leading to the rooms surround a courtyard. Amenities include free hot breakfast & parking, an airport shuttle, a pool in a courtyard, and a cocktail lounge. There's also a business center and a fitness facilities. Horse Show Rate of $64 per night. 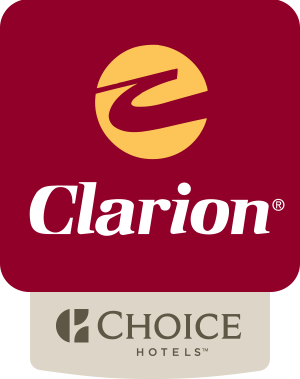 Off Interstate 10, this casual hotel is short distance from the Equestrian Center. The traditional-style rooms feature free Wi-Fi and flat-screen TVs, as well as minifridges, microwaves and coffeemakers; some have seating areas with pull-out sofas and/or in-room whirlpool tubs. Freebies include hot buffet breakfast, an airport shuttle and parking. There's also an outdoor pool, a fitness center and a furnished terrace, in addition to a business center and meeting space. Pet Friendly. 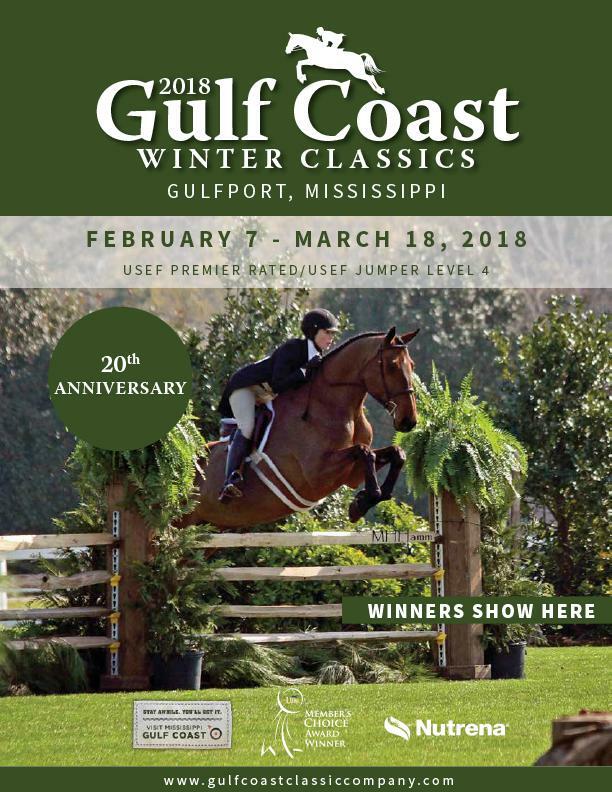 Call 228-868-3300 and ask for the Gulf Coast Winter Classic Horse Show Rate. 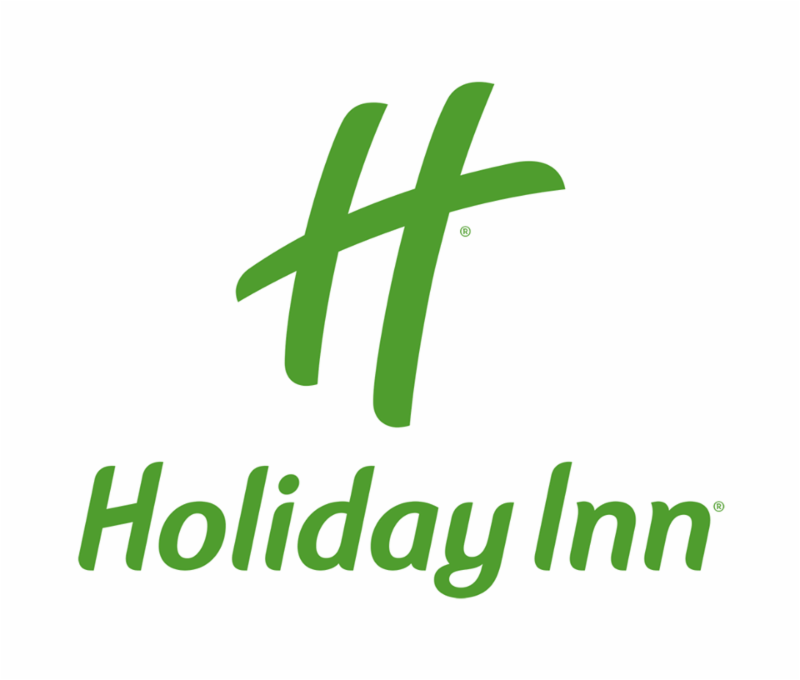 The award winning Holiday Inn Hotel Gulfport - Airport is offering a special Gulf Coast Winter Classic Horse Show Rate of $89 per night. You can enjoy a relaxing stay at our Gulfport accommodations, ideally located off I-10 and Highway 49, just a short distance from the Equestrian Center. Also, be sure to enjoy the complimentary airport shuttle provided by our hotel to the nearby Gulfport Airport. While lodging in Gulfport, take advantage of our heated, indoor pool, hot tub, 24-hour fitness center and on-site restaurant, which offers a casual dining atmosphere where kids can eat for free. Book Online or Call 228-679-1700 and ask for the Gulf Coast Winter Classic Horse Show Rate.